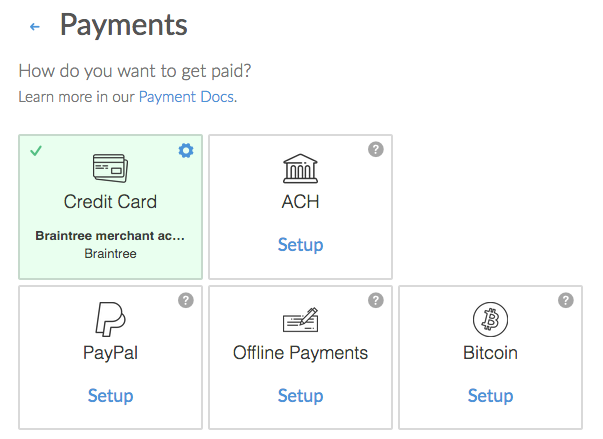 This document details how to connect the Braintree payment gateway to accept payments and how our integration works. Connecting Braintree is a straightforward process. 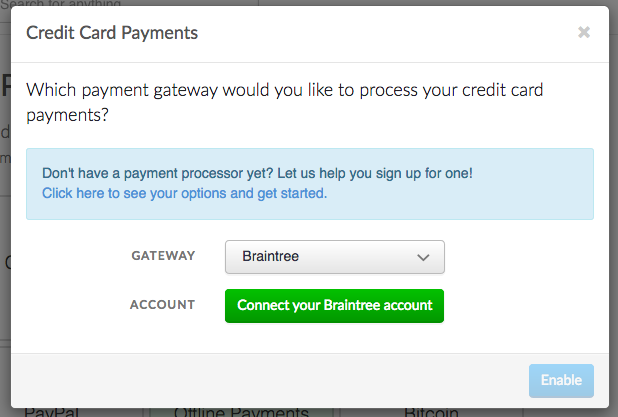 Follow these steps to start accepting payments through Braintree in minutes. 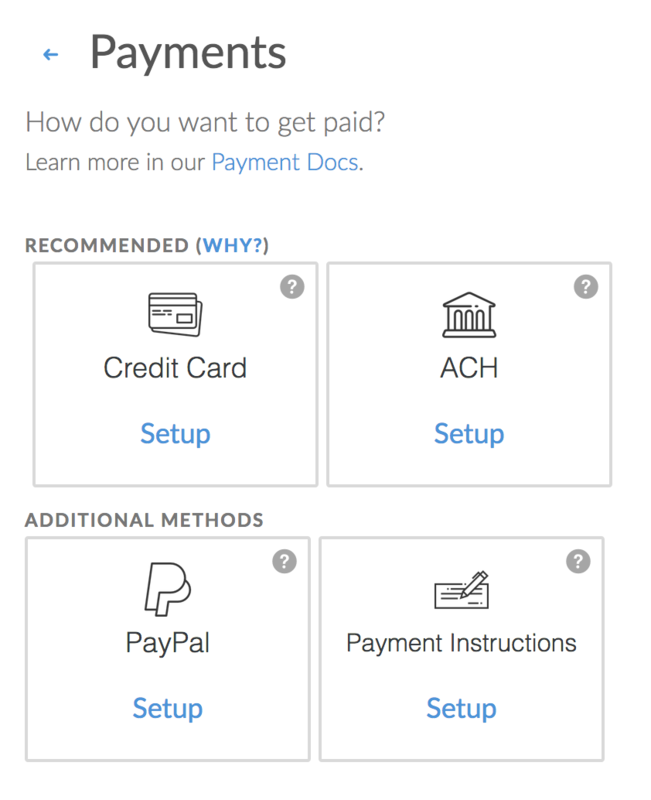 These steps assume you already have a Braintree account. 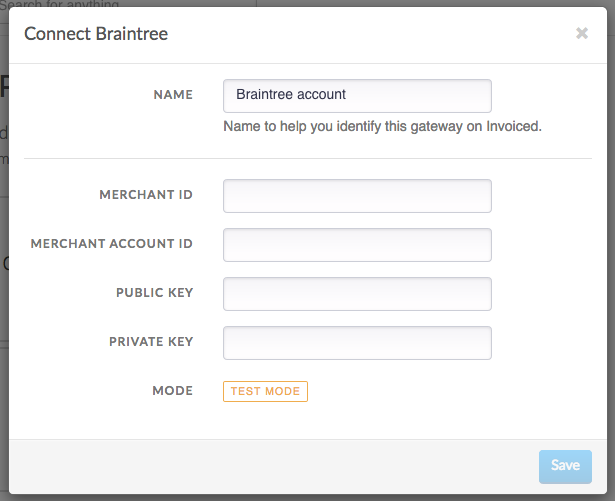 Select Braintree as the payment gateway. Enter in your Braintree Merchant ID, Merchant Account ID, Public Key, and Private Key and click Save. 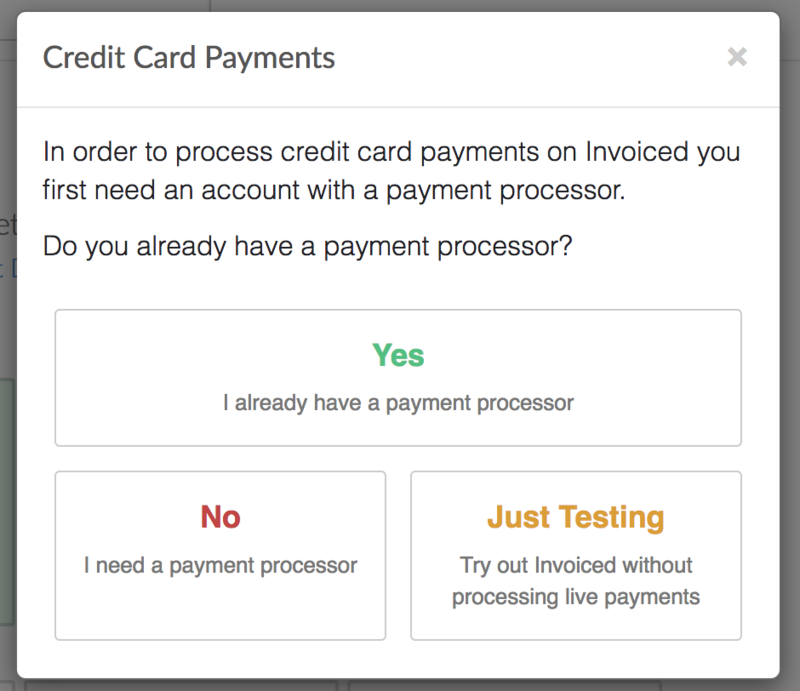 Then click Enable and the credit card payments should be enabled. Need help with your Braintree account? You can get help by visiting the Braintree support site.